Maria Guadalupe Carrizales was born in Temple, TX on February 24, 1948 to Natividad Carrizales and Hepolita Carrillo who preceded her in death. 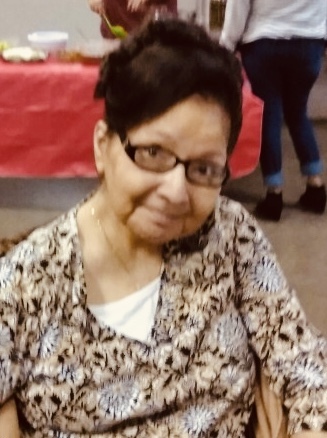 She went to be with her Lord and Savior on April 10, 2019 at the age of 71 years. She was also preceded in death by her husband, Henry Tryheart; and by two brothers, Felipe and Natividad, Jr. She leaves behind her daughter, Vicky Valdez (Lisa); sisters, Julia Nieves, Irene Silvas (Flavio), Hepolita Carrizales and Isavel Sammons (Danny); brothers, Thomas Carrizales, David Carrizales, Santiago Carrizales (Martha), James Carrizales and Pablo Carrizales(Reatha); and by numerous nieces and nephews. Visitation will be held at Guajardo Funeral Chapels on Monday, April 15 from 1pm-9pm and again on Tuesday, April 16 from 9am-9pm with the Holy Rosary to be recited at 7:00pm. Mass of Christian burial will be celebrated on Wednesday, April 17 beginning at 2:00pm at St. Patrick’s Catholic Church. Interment will follow in the Wolfforth City Cemetery.